I have had my desk chair for years, and decided it was finally time to recover it. 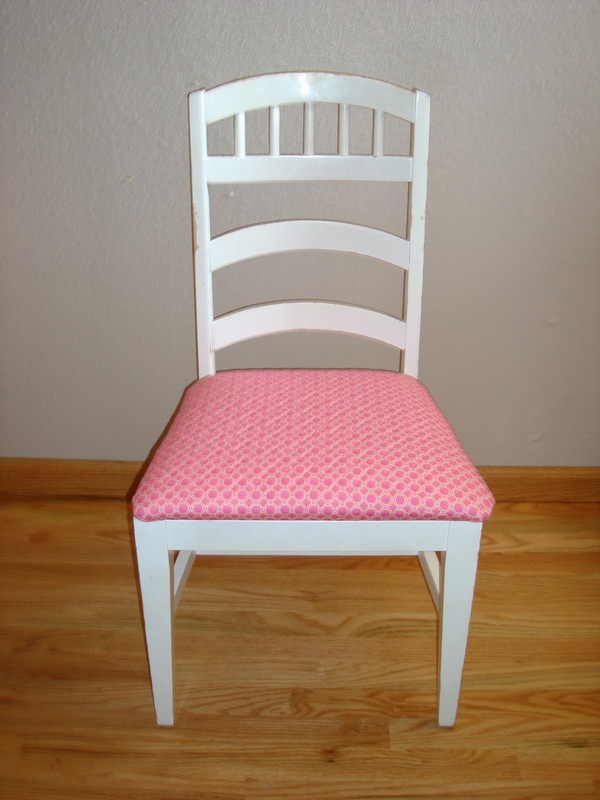 It turned out to be super easy, and now when I need to buy kitchen table chairs, I won't be afraid to buy ones at a garage sale with an ugly fabric. 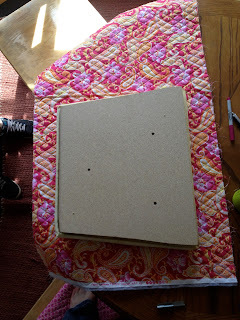 First I unscrewed the chair seat from the chair, and my boyfriend took the staples out of the bottom. 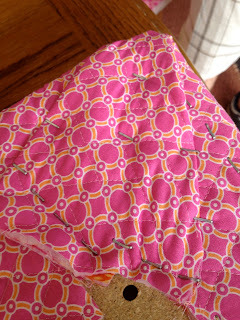 I made sure I had enough fabric to cover the whole seat with about 2 inches extra on each side to staple. We stapled one side of the fabric to the seat first, then did the side directly across from it. Make sure you pull the fabric tight. 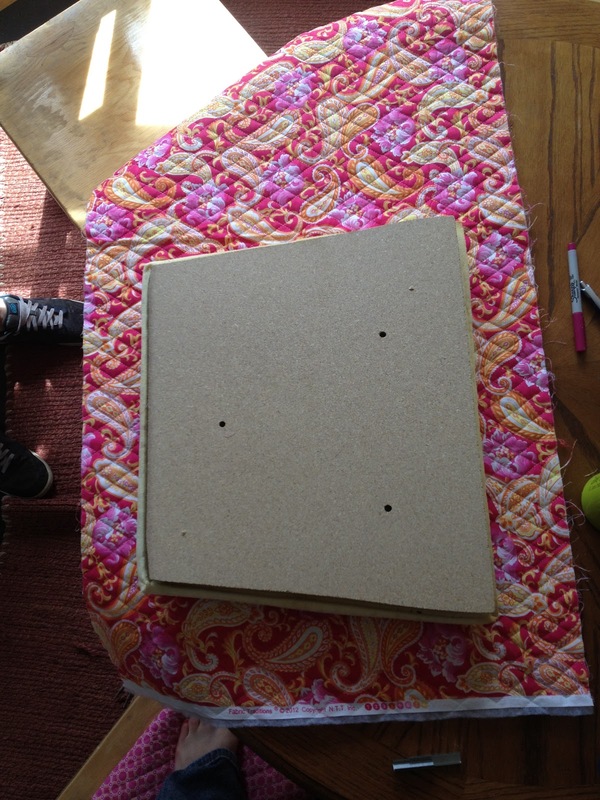 Then staple the middle of the other two sides, leaving the corners unstapled. 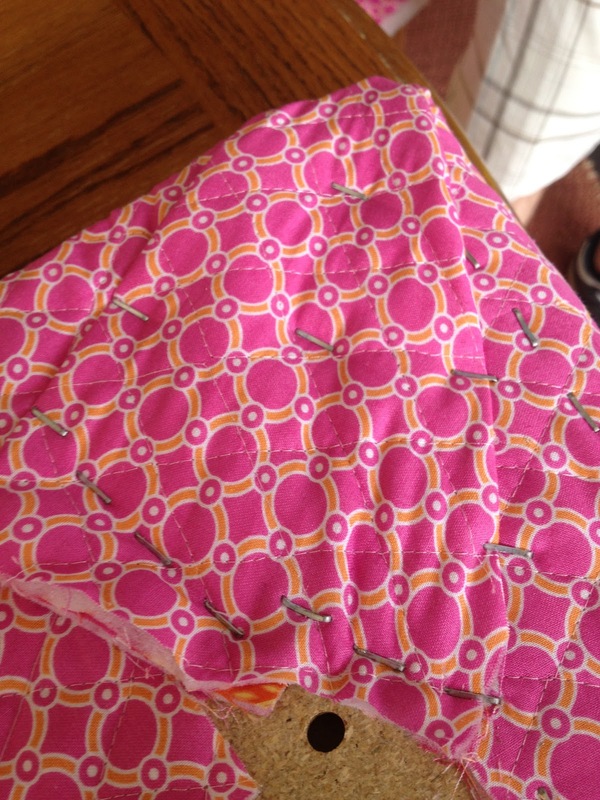 When you get to the corners just pull the fabric over to make a pleat. My boyfriend thinks the more staples the longer it will last, but just a few will be fine. Great job! Love the fabric you chose!